My best friend is coming into town and we’re having a Ladies Night. I’m so excited to see her and spend time with new and old friends. I’m even more excited because I love to entertain, and rarely get the chance. I did a lot of Pinteresting trying to find unique recipes for that night. While I did find a few, I got more inspiration more than anything. The sugar rims don’t look as good here, but even if they come out a little clumpy, they’ll still taste delicious. 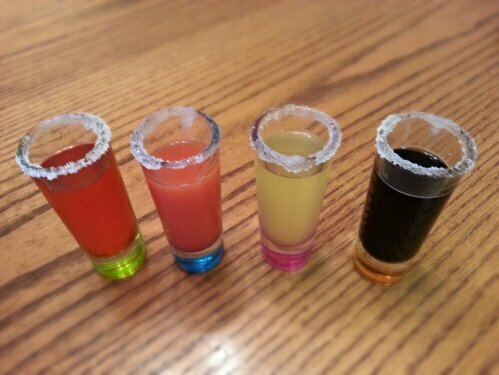 I alternated drinks with glass colors. It looked really summery and cute. 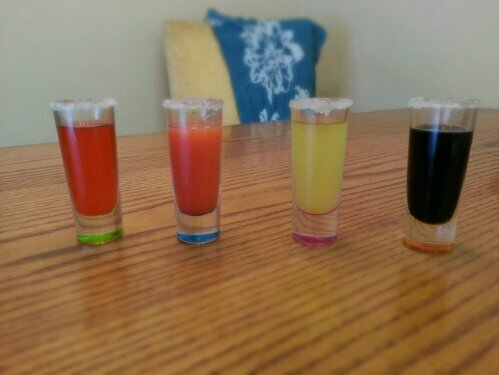 Flavors are left to right: sour cherry, sweet sunrise, sour lime, sour grape. Ingredients were quite simple. Orange juice, sweet and sour mixer, grenadine, sugar, water, koolaid. I bet a few other flavors of koolaid would work great with this. 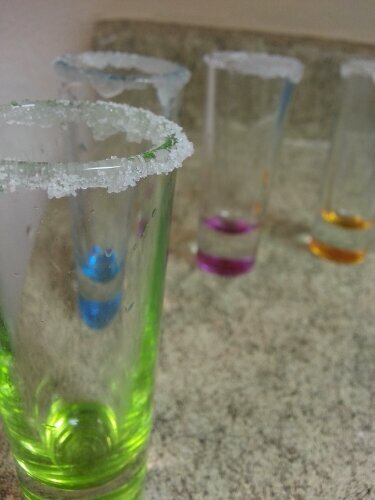 The tricky part about the koolaid was color and strength. I mixed a concentrated amount of koolaid powder with water and a little of the sweet and sour mix ahead of time to get the right consistency. The rest were real simple. 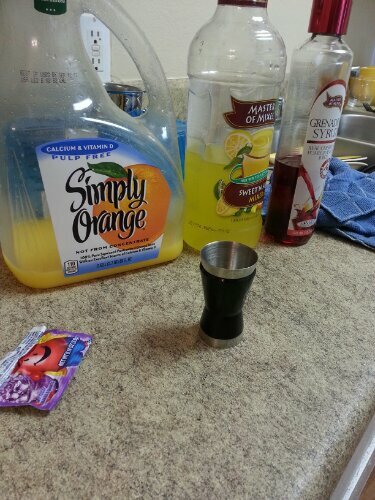 A little grenadine and oj. 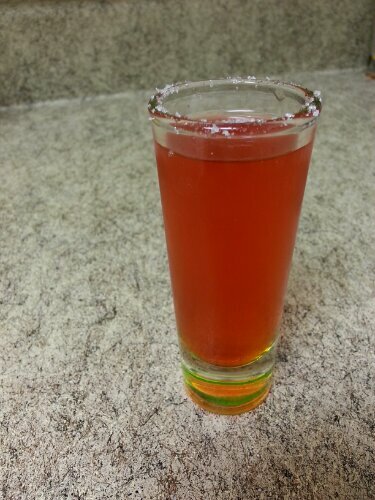 (I love the pomegranate, cherry grenadine) Sweet and sour mix with a splash of grenadine. Straight mixer. I hope you enjoy these as much as I did. Get out there and get together with your girls before the summer is over! love this! 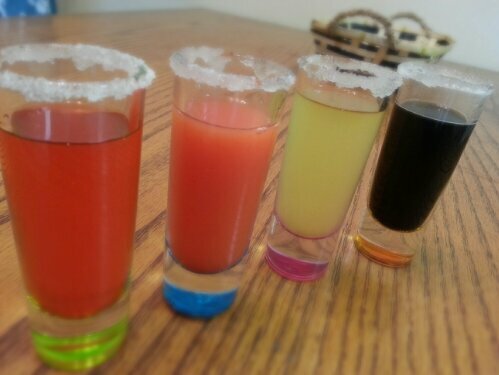 I have a blog called experimental virgins, and am going to try your shooters and share your blog on mine! Good job!